As part of the captivating Agnethe collection, Skagen presents this pair of dainty drop earrings. 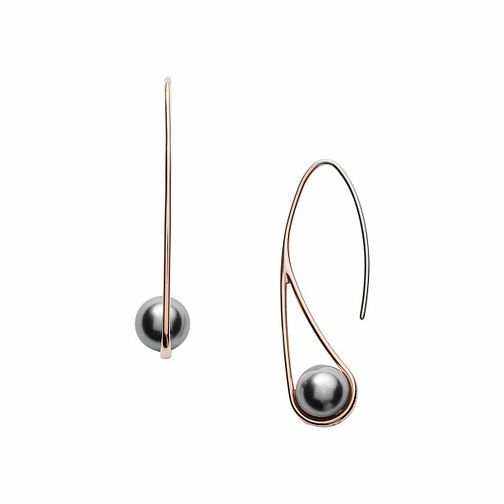 The unique design proudly displays a single grey pearl upon each earring, encased within an open rose gold tone tear-drop, visible from the profile with a linear appearance from straight-on. A contemporary pair of drop earrings to complete your evening attire.